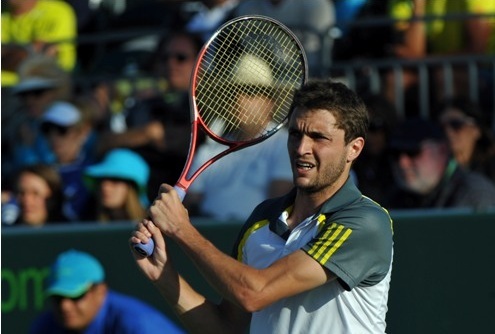 French fans can look forward to seeing the return of their No.2 Gilles Simon (Player Profile) this evening as he takes on fellow Frenchman Kenny De Schepper (Player Profile) for the first time. The second seed here/Wildcard was last seen in action last month at the Cincinnati Masters where he retired from his 1st round match against Canadian Pospisil, suffering from a hip flexor injury. This injury saw him miss the US Open, but now he is ready to return and revive his season which has been very poor post French Open where he delighted the home crowd when pushing Roger Federer to 5 sets in the 4th Round, winning a few more fans with it. Simon may lack the flamboyancy of fellow countrymen Tsonga and Gasquet, adding style to substance, but for Simon the substance is all there. A usual counter puncher and defensive baseliner really took it to Federer that day and having the confidence to replicate that is all that is lacking to see him return to the World’s top 10. This change in game style and confidence has dissipated since then, it saw him start positively on the grass when reaching the final of Eastbourne, yet Feliciano Lopez proved to be his nemesis then and in the 1st round of Wimbledon. Simon has failed to win a match since after surprising defeats to Tursunov and Davydenko have followed in the States, after this time out though there is still time to perform here in Metz and get a few much needed wins under his belt. Standing in his way today is Kenny De Schepper, all 6’8″ of him! De Schepper is having the best season of his career since turning professional in 2010, no doubt the highlight being his unexpected run to the 4th round of Wimbledon, including a credible win over then World No. 2o Juan Monaco in the 3rd round despite his possible fortuity in getting the walkover after Marin Cilic withdrew from their 2nd round match. But again like Simon, you thought this shock run would give him the confidence to push on after obtaining his career high ranking of 68, but no, the Frenchman has failed to win a match on the Tour until this week here in Metz after a miserable US swing. It was a solid straight sets victory for the left-hander though over J Huta Galung 63, 62 in the first round though so he should be in good shape in front of the home crowd to take on the World No. 16 Simon. The question is can Simon settle, shine here, and push on to the final where his seeding should suggest he should be come Sunday taking on Jo-Wilfried Tsonga in an exciting prospect of a match!.. What can I say, I am a massive tennis fan! 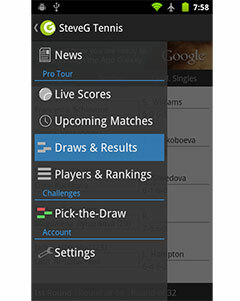 I follow and watch all the ATP World Tour tournaments, following all the top players and action. I love writing about tennis and want to become a tennis correspondent in the future! I am from the UK, and this brings obvious support for our man Andy Murray! But my other favourite players include Novak Djokovic and Robin Soderling, who I really miss watching on the tour!.. Simon such a talented player. Great to see him back on tour. More accurately is that Simon suffered rib injury since his outing in Eastbourne. It was thought that his sickness in Eastbourne was a cold which turned out to be a long lasting whooping cough, coughing so severe that he cracked a couple of ribs. Took a bit for him to recover from it.